A 180-million-year-old ichthyosaur from North Yorkshire was a pregnant mother, scientists have discovered. 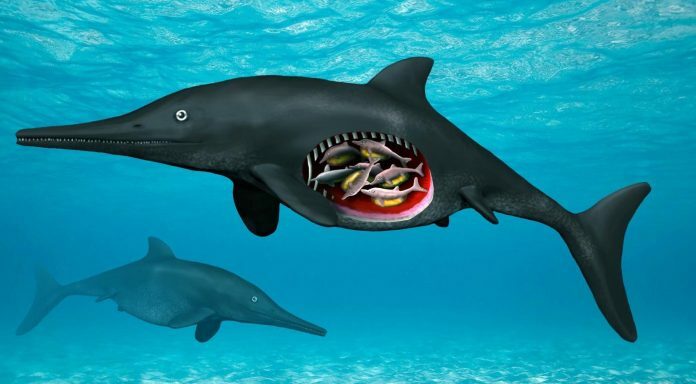 Mike said: “We also considered the possibility that the tiny remains could be stomach contents, although it seemed highly unlikely that an ichthyosaur would swallow six to eight aborted embryos or newborn ichthyosaurs at one time. And this does not seem to have been the case, because the embryos display no erosion from stomach acids. Moreover, the embryos are not associated with any stomach contents commonly seem in Early Jurassic ichthyosaurs, such as the remains of squid-like belemnites”.